Nothing gives the house a natural and warm look more than wooden fixtures and furnitures. 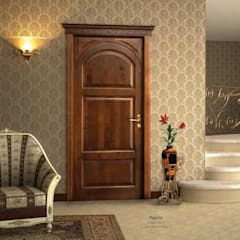 Wood materials are loved for their beauty, and wooden doors can definitely make a statement for your house aesthetics. 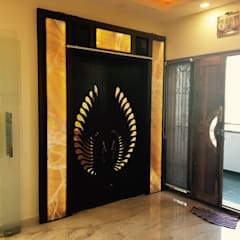 With their widely available options and customization, wooden doors are versatile and goes with a house design no matter if it is modernly contemporary or a rustic style. It is especially convenient for Canadian homes, where Canada’s wood industry and solid wood product manufacturing is prominent. 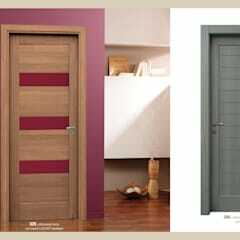 Wooden doors are most attractive for their appearance, in which their wood grains give a natural feel that no other materials can match up to. 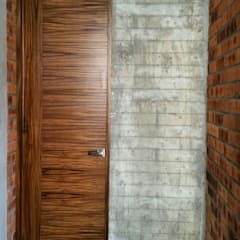 Wooden doors are also heavy, creating a visual feel of durability and a solid entrance. 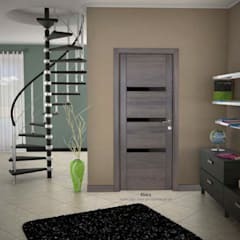 There are many options of wood colours and patterns to choose from, each with a slightly different touch to the home. They are also highly customizable with many staining and painting choices, as well as door panels design, molding or any other specific feature can be crafted. 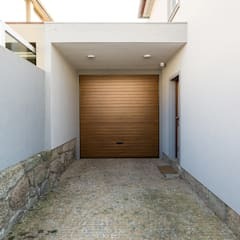 In addition, they can be easily trimmed to fit any size of door opening, which is a characteristic that are hard to find in many other materials such as steel. Since they are easy to work with, many homeowners also like having windows or opening spaces cut within. 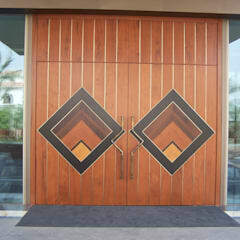 Wooden doors has a huge potential in all kinds of design and style. With doors that has a solid wood core, insulation and durability is extremely strong, making them an energy efficient and secure front door option. 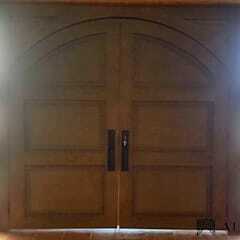 You can look for wooden doors that has an Energy Star certification, guaranteeing their energy efficiency standards. These attractive qualities do however come with some drawbacks. 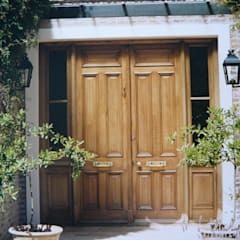 Similarly to wooden windows, wooden doors require rather high maintenance with repainting and resealing every so often. They are more prone to chipping and wear and tear, therefore constant care needed. 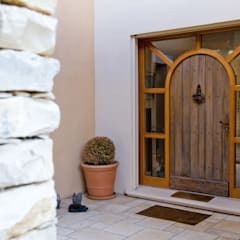 Moisture from humid environments can be one of the main threat to wooden doors, in which they will tend to swell and warp. Another issue is the attack from insects, especially termites. These insects come in huge groups and eat away the wood bits, taking over any wooden material in the house. 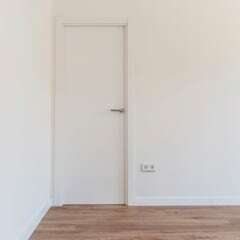 They can be a hassle to get rid of and will cause damage to the door. Another issue of concern for wooden materials is their stance in sustainability. With Canada being a highly ranked sustainable and green country, environmentally conscious decisions are important to many homeowners. 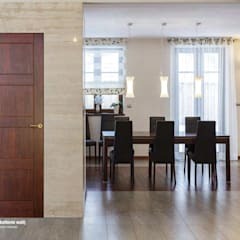 With regards to that, you can resolve this concern by purchasing solid wood doors certified by the Forest Stewardship Council (FSC), an organization internationally recognized for responsible forest management. This will ensure the wood being sustainably grown and harvested. 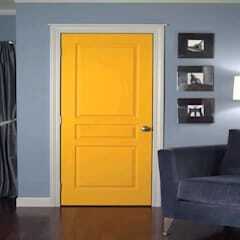 Wooden doors are also relatively more expensive, with price ranging from $300 CAD all the way to $2000 CAD. 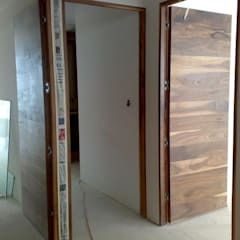 What are the Different Type of Woods for Doors? Mahogany – Mahogany is an expensive but strong tropical hardwood that has a deeper reddish brown colour. 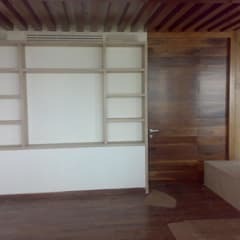 It is a great carving wood that finishes well, and are popularly used in traditional styled homes. Oak – Oak is one of the most frequently used hardwood in houses. They are heavy and strong, and have prominent wood grain markings. 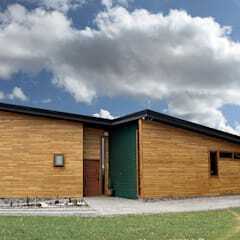 Oak is a popular option also for its durability and rot resistance. There are two varieties of oak wood, the greyish brown coloured white oak and the reddish tinted red oak. Maple - Maple wood is another durable, strong and heavy wood. It is also moisture and shock resistant, however more prone to insect attacks. 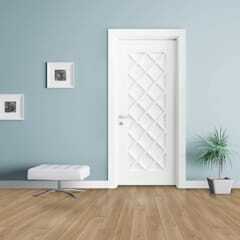 Maple has a light and pale colour of creamy white with beautiful swirl wood grains. 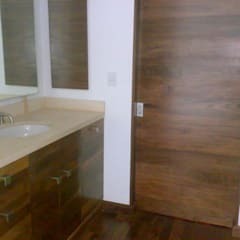 Walnut – Walnut is recognizable by its rich chocolate brown colour that can be either dark or light, with straight to wavy wood grains. Walnuts are known for their versatility, and are extremely popular for cabinets. Redwood – Redwood has amazing quality, especially the best ones that comes from the heartwood. These woods are resistant to deterioration and aging from moisture, insects or sunlights, resulting in less damage over time. They are also great at absorbing furnishes and coatings. Douglas Fir – Sometimes just called fir, this type of wood is light in weight but relatively strong, and easy to work with. They are light brown in colour with a hint of red and yellow along with a straight grain. Douglas fir woods are inexpensive and often used for buildings and furniture making. 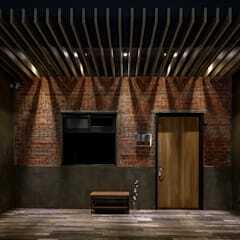 Pine - Pine wood is light weight with a pale yellow colour and straight grain. It is easy to work with and decently resistant to rotting, shrinking and swelling. They are frequently used and can be easily found in your local home centre. 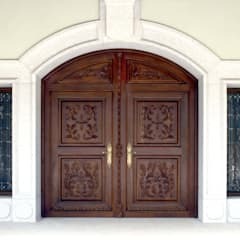 How Should I Care for and Maintain the Wooden Doors? 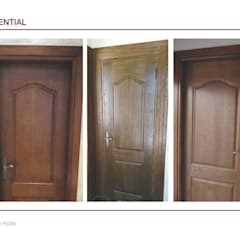 As mentioned above, wooden doors require more delicate care and frequent maintenance for its beautiful look to last a long time. 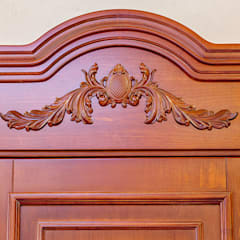 The first and most basic step in maintaining wooden doors is to dust the regularly to clean off any dirt or spiderwebs. A more thorough clean will include cleaning with a soft sponge dipped in warm water mixed with mild liquid soap. Always remember to clean all sides of the door including edges and corners. You can remove dirt or grime build up by rubbing the surface with mineral spirits. 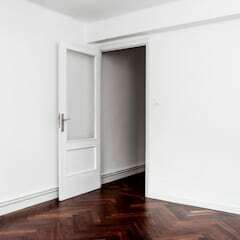 To add a protective layer once in awhile, apply liquid furniture polish onto the door surface. 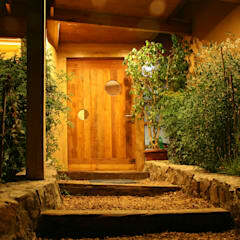 The wooden door should always be dried thoroughly after cleaning or application of any layer. 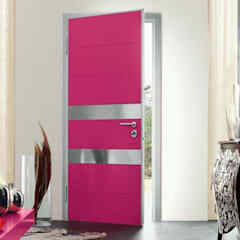 Re-stain the door periodically to maintain a long lasting wooden door. If there are severe damages to your door, make sure to seek help and consultations from door experts to evaluate the situation and next steps.